Joel Osteen is not just a famous televangelist whose sermons reach over 7 million viewers weekly but he is also a best selling author with 7 New York Times Best Sellers. If you wish, you can listen to him any time of the day or night on his own dedicated Sirius XM Channel. Reaching north of 20 million people in over 100 countries each month, he has amassed a net worth that is reportedly in the range between $40 million → $60 million. These days, he lives in Texas with his wife in a mansion worth over $10 million. 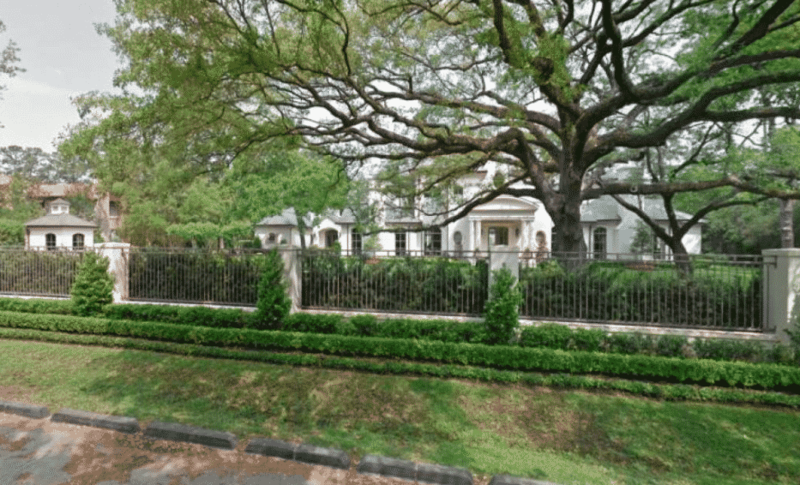 And when you see Joel Osteen house photos, you might be inspired to read some of his books and learn more about how he created such enormous success. Joel Osteen Net Worth: How Much Is It? 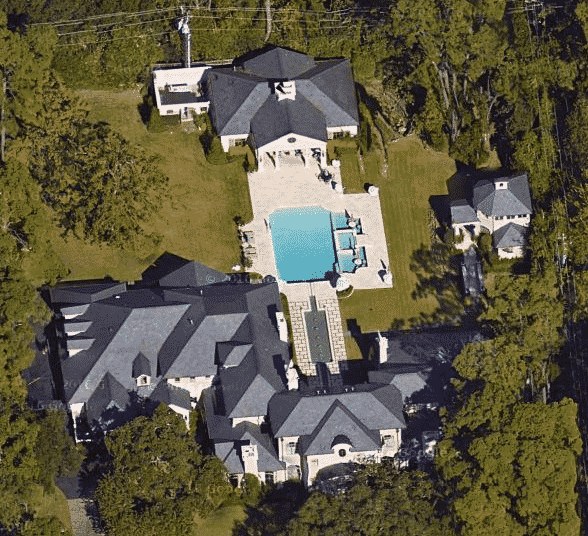 In the Texas suburb of River Oaks sits the “Joel Osteen house” or mansion might be a better way of describing his home. It’s reported to be worth approximately $10.5 million and features not just 6 bedrooms and 5 bathrooms but 3 elevators too. The luxurious mansion he enjoys was purchased with money earned from his success as a preacher in the Lakewood Church. Despite the apparent opulence, it seemed for a long time unlikely that Joel would ever step into the limelight. For years, he worked behind the scenes helping to produce televised sermons for his father, John Osteen, who was the founder and first pastor of the Lakewood Church. It wasn’t until after his father died unexpectedly that Osteen began to preach regularly, though he did accept his father’s proposal to preach for the first time just six days before he passed away. Since Joel Osteen took over as senior pastor at Lakewood Church, the attendance is reported to have grown from 5,000 to 43,000. The church has been so successful that it acquired the former Compaq Center and spent over $100 million on renovations. But perhaps it’s his 17,000 foot square mansion that creates the biggest wow factor! In 2004, Joel wrote his first book, Your Best Life Now: 7 Steps to Living at Your Full Potential. According to Forbes, it sold more than 5 million copies and reached the number 1 spot on the New York Times Best Seller list. It was reported that Joel earned as much as $13 million from his second book, Become A Better You: 7 Keys To Improving Your Life Every Day. In this book, Joel shares action steps designed to help individuals find their purpose and achieve their destinies. He imparts principles from The Bible as well as personal testimonies intended to enlighten and inspire readers. A year later, Osteen wrote his next book: Your Best Life Begins Each Morning: Devotions to Start Every Day of the Year. One of the main ideas is to start each day with an attitude of faith and expectancy. He also released Good, Better, Blessed: Living with Purpose, Power, and Passion the same year. It’s available on Audible and via Audio on Amazon, and features ten of his most popular sermons. You will hear Joel speak about living an abundant life. He shares practical tips about how to move past mediocrity and live in abundance. In 2009, Osteen wrote two books, called Hope for Today Bible and It’s Your Time: Activate Your Faith, Achieve Your Dreams and Increase in God’s Favor. The book was written after the stock market crash of 2008-9 but its principles and lessons are timeless. Continuing his message of positivity, he encourages readers to raise their hopes and expectations, and trust the best days lie ahead. Just when your struggles seem never-ending and it looks like things won’t ever turn around for you, he encourages you to get your hopes up. Osteen’s next release: Living in Favor, Abundance and Joy is an audio release that features inspiring sermons from his preaching at Lakewood Church. In 2011, Joel released his book: Every Day a Friday: How to Be Happier 7 Days a Week. One of the main teachings in the book relates to gratitude and specifically viewing each day of the week as a gift from God. The goal of the book is to help you feel more grateful, experience good humor, and build faith. The following year, Osteen published I Declare: 31 Promises To Speak Over Your Life. It is broken into 31 segments and features blessings in Scripture that encourage readers to declare one each day of the month. Osteen covers a wide range of topics including health, family legacy, finances, overcoming obstacles, thoughts, and decisions. In more recent years, the Lakewood Church pastor has continued to publish bestselling books. In 2013, he wrote another #1 New York Times Bestseller called Break Out! : 5 Keys to Go Beyond Your Barriers and Live an Extraordinary Life. His message of abundance features throughout the book and he states that average, unrewarding and unfulfilling lives are not our destiny. Instead, every person has seeds of greatness planted within them. Even though life can push us down, limit our thinking, and label us in negative ways, we can rise above, overcome our hurdles and fulfill our destinies. He shares practical steps to breaking free of limiting beliefs in order to live a better life. Another popular book Osteen released afterwards is You Can, You Will: 8 Undeniable Qualities of a Winner. He identifies in this book eight qualities that winners possess in order to help reach new levels of success in life. Keep your vision in front of you – Dare to dream big dreams. Run your race – Focus on your unique course and goals. Expect good things – Anticipate great opportunities. Have a positive mindset – Take control of your thoughts and attitudes. Commit to excellence – Do your best and maintain high standards. Keep growing – Be proactive, be intentional, build on your gifts, and continually improve. Serve others – Invest yourself in others. Stay passionate – Light the fire within and approach life with enthusiasm. The Power of I Am: Two Words That Will Change Your Life Today was released by Osteen to help readers realize that whatever words follow ‘I am’ will come looking for you. The big idea is to transform your own self image. Osteen shares that when you define yourself in a certain way, you will direct your life accordingly. By limiting how you define yourself, you limit your life. However, if you define yourself without limits, a world of untapped potential sits on your doorstep waiting to be realized. Osteen continues to advocate for the power of the mind, belief, and better thought patterns in his next book: Think Better, Live Better: A Victorious Life Begins in Your Mind. He encourages readers to recognize the power of the mind to create success and failure. The goal of the book is to help readers erase thoughts that keep them down and reprogram their minds to think positively. The message imparted is when you can train yourself to tune out negativity, a more wonderful life can unfold. In 2017, Osteen released Blessed in the Darkness: How All Things Are Working for Your Good. Osteen confronts difficult life situations in this book, such as financial setbacks, unexpected illnesses, divorce, loss of loved ones, and unfair work situations. He shares how those experiences are part of the human journey but it’s important to keep things in perspective. Joel Osteen writes that keeping a good attitude and maintaining faith during challenging times help us to grow and see how things work together for our good. How much money is Joel Osteen worth? The short answer is, a lot! According to reports he is worth anywhere from $40 million to $60 million. He sold five million copies of his first book and earned a $13 million contract for his second book. With over 40,000 people attending his sermons, a global audience reaching over 20 million people in 100+ countries, and a dedicated channel on Sirius XM running 24 hours a day, Joel Osteen may be worth a lot more. That seems to suggest Osteen has a long way to go to be grouped in the mega-rich category alongside Amazon founder Jeff Bezos and Warren Buffett, but Osteen may well be worth as much as $100 million or more. Despite the mansion that is Joel Osteen’s house and his enormous wealth, he describes his most prized possession as a watch that his father bequeathed him when he passed away. And he says that the fortune hasn’t resulted in new expensive hobbies like buying boats and cars, but instead he lives very much the same life he did before and remains committed to Lakewood Church. In his sermons, Joel Osteen quotes bible verses regularly and often begins with funny stories. To see him in action, check out this Joel Osteen YouTube video. Have you read any Joel Osteen books? Have you attended Joel Osteen sermons? What do you think of Joel Osteen ministries? We would love to hear what you think in the comments below.